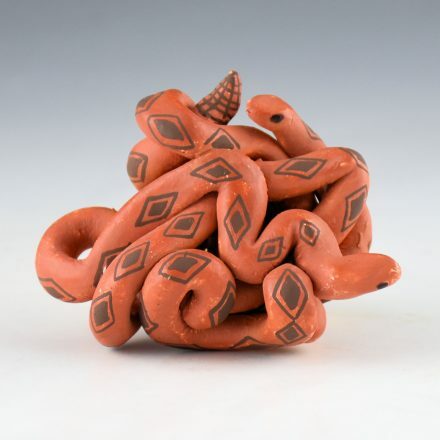 Barbara & Joseph Cerno are known for their large coil built vessels. This is one of their figurative pieces. 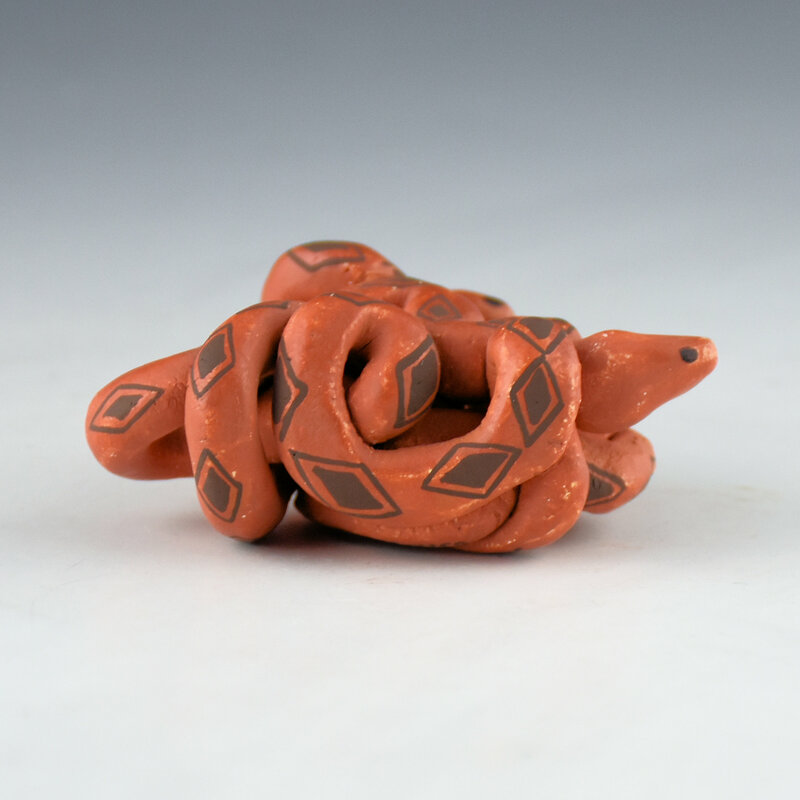 There are two snakes intertwined together. 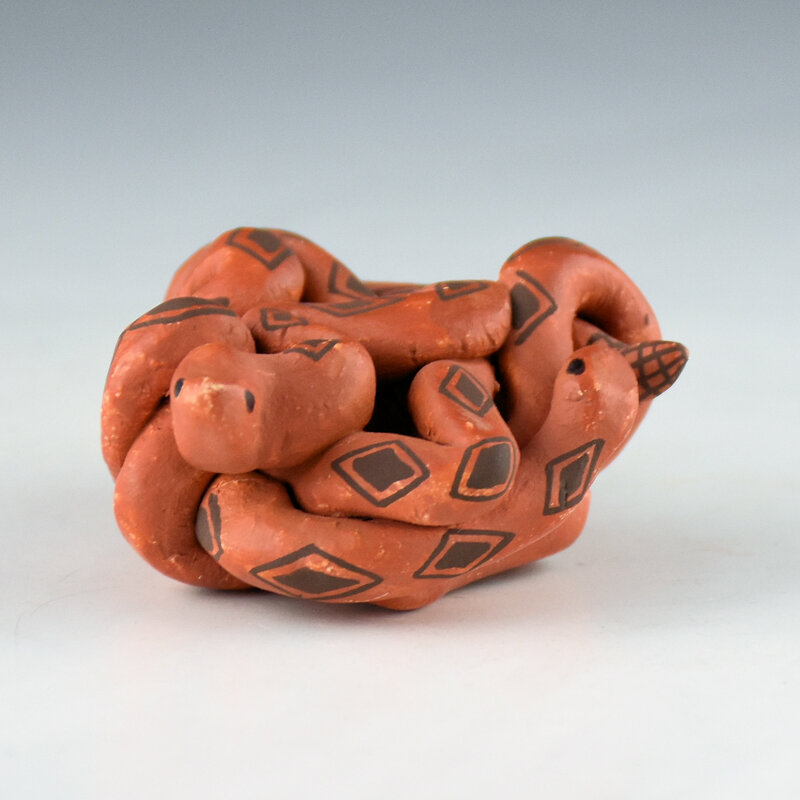 The backs of each snake are painted with diamond designs. It is interesting how they weave together to become one piece. The snakes are from 2006 and it is signed on the bottom. It is in very good condition with no chips, cracks, restoration or repair. 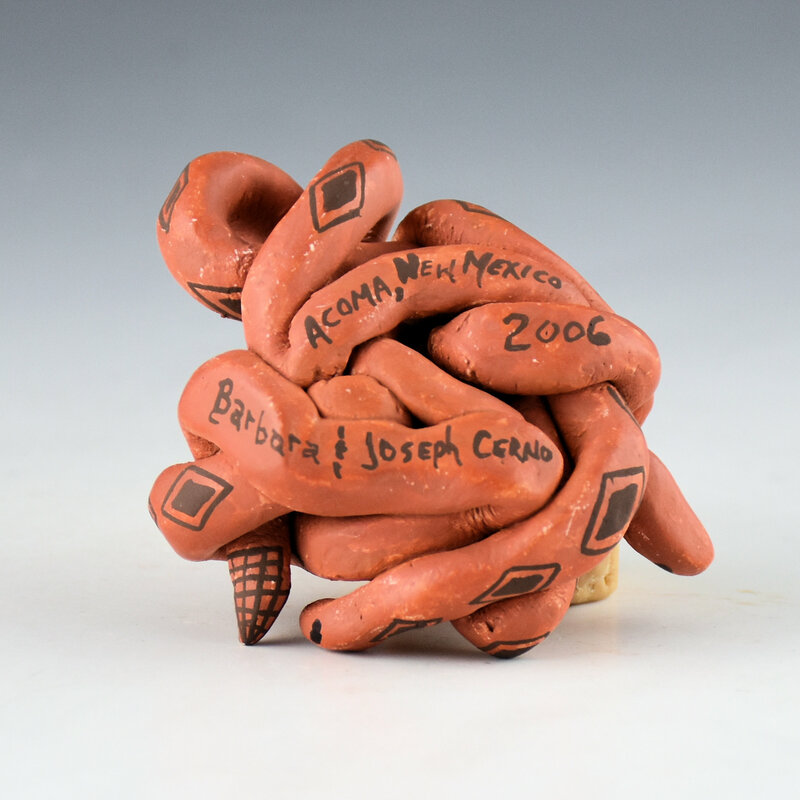 Barbara & Joseph remain among the most renown contemporary Acoma potters for their revival of historic patterns.